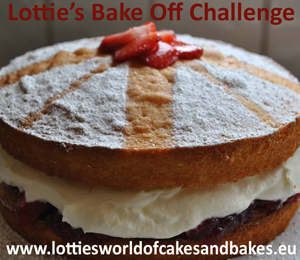 When something is described as being one of the best things that the judges have tasted in three series of the Bake Off, how do you resist attempting to make it? The answer to that of course is that you don’t. 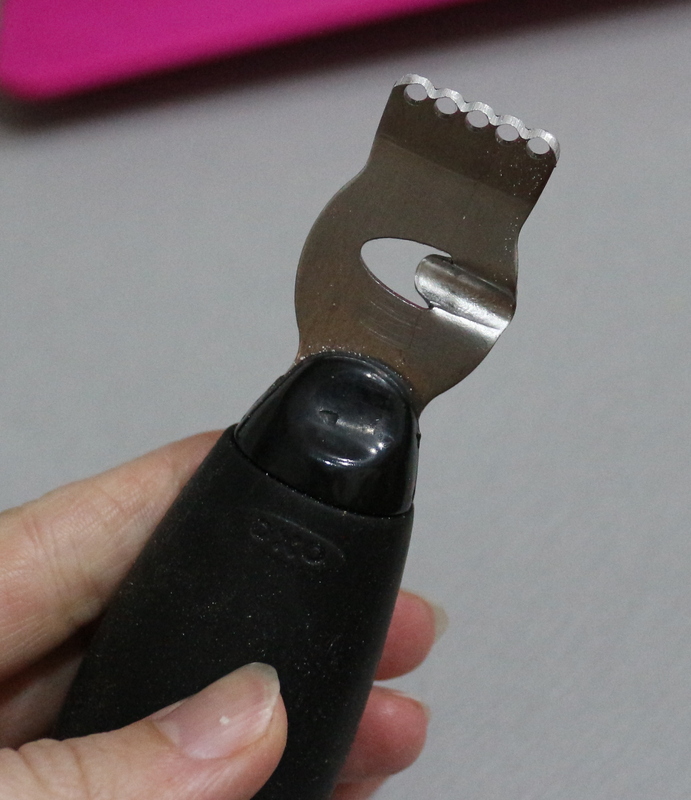 You fully add it to the list (the ever, ever, increasing list) of things you want to make. One day you bite the bullet and do it. The recipe is available in the book (The Great British Bake Off: How to turn everyday bakes into showstoppers), or online here. NB. it seems the Beeb have taken down pretty much all of the GBBO recipes, this no doubt comes as part of the awkward breakup with Love Productions, so I have updated the post below! To make the pastry, sift the flour, icing sugar, ginger and salt into a mixing bowl. Add the diced butter and rub in until the mixture looks like fine crumbs. Mix the yolks with the icy water and stir in with a round-bladed knife to make a soft but not sticky dough: add more water if necessary. (NB. I made the pastry using my food processor, because I am lazy: just add all the dry ingredients – pulse, then add the butter and process until it gets to the fine crumb stage, then add the egg mixture until the dough just comes together) Wrap the dough in cling film and chill for about 20 minutes until firm. Roll out the dough on a lightly floured surface to a circle about 37cm across, and the thickness of a pound coin. 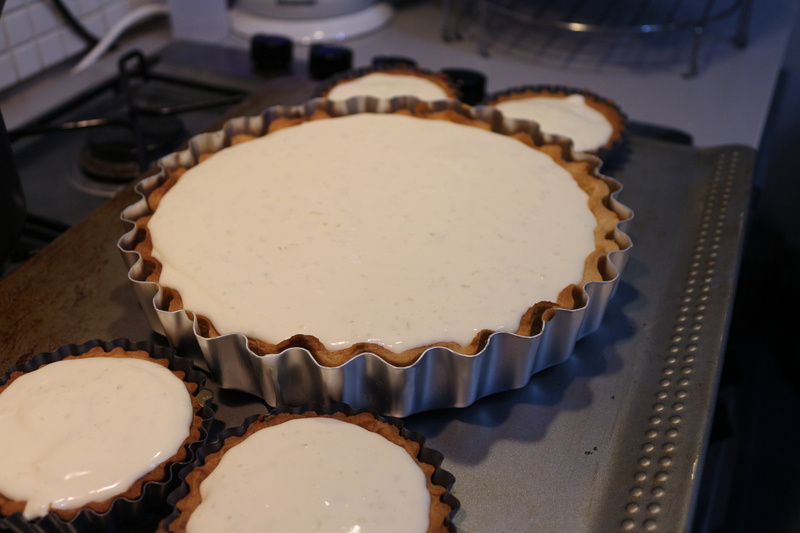 Use to line the flan tin, then prick the base of the pastry case with a fork and chill for about 20 minutes. Meanwhile, preheat the oven to 200C/400F/gas 6. 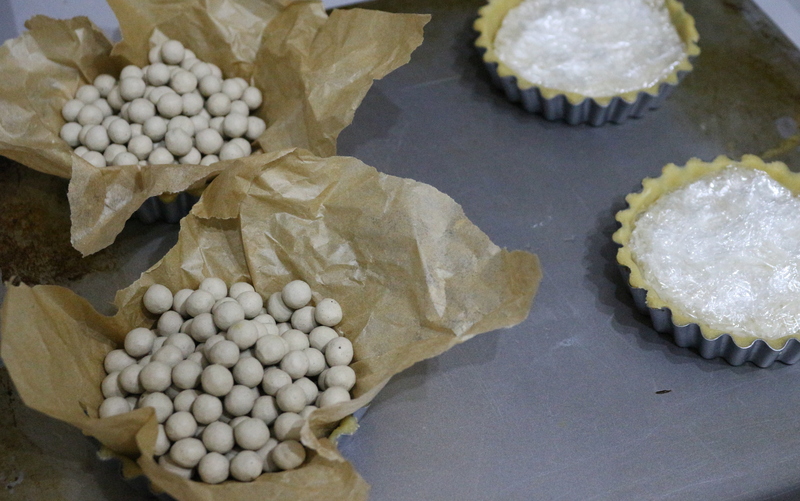 Bake the pastry case ‘blind’ for 12-15 minutes; after removing the paper and beans, reduce the oven temperature to 180C/350F/gas 4 before baking for a further 8-10 minutes until the pastry is a light golden brown. Leave to cool, but do not unmould. For the filling, scatter the chopped ginger overt he base of the pastry case. Set aside half of the lime zest for the decoration and put the rest into a mixing bowl with the juice, condensed milk and yolks. Whisk for a couple of minutes until the mixture thickens slightly. Whip the cream until it falls in a thick, ribbon-like trail from the whisk (the stage before soft peak), then fold into the lime mixture using a large metal spoon – the mixture will thicken considerably. Pour into the pastry case and chill for about 1 hour until firm. Next, make the Italian meringue. Put the sugar and water into a medium pan and heat gently, stirring frequently, until the sugar has completely dissolved. Turn up the heat and boil steadily, without stirring, until the syrup reaches 120C/248F on a sugar thermometer. While the syrup is cooking, put the egg whites into a bowl and beat with an electric mixer until stiff peaks form when the beaters and lifted. As soon as the syrup reaches the correct temperature, pour in a steady stream onto the egg whites, beating at the highest possible speed, keep whisking until the mixture has cooled to room temperature (5-7 minutes). Unmould the pie and set it on a serving platter. Spoon the meringue into a piping bag. 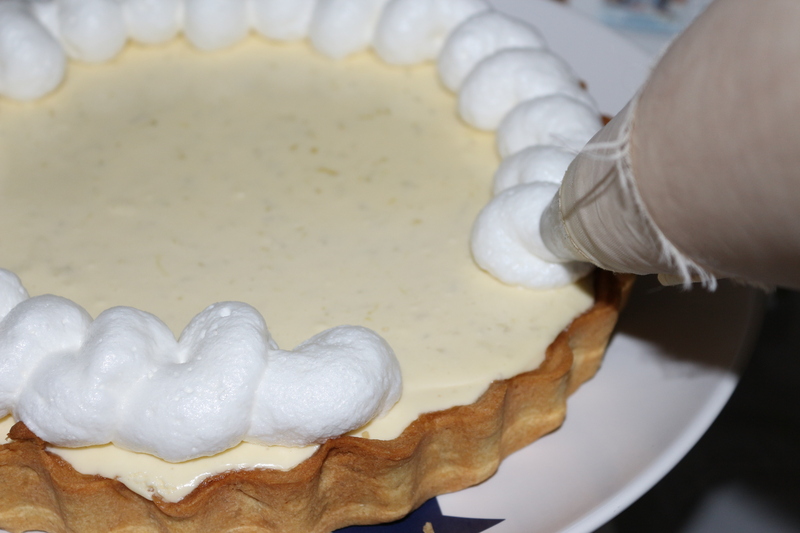 Pipe the meringue in a thick rope of continuous loops around the edge of the pie, then use a kitchen blowtorch to lightly brown and highlight the meringue curves. Decorate with lime slices, the remaining lime zest, and sprigs of mint. Making the little ones was also an ideal time to test out the suggestion from the Seasonal Patisserie class that Mum and I attended at the cake and bake show, which was that instead of using paper and baking beans, use cling film and rice instead. In theory the rice will weight the pastry down more evenly. It did work, but I’m not sure that it really makes that much difference. Also, if you’re going to use paper and baking beans, scrunch up the paper and then it will assume the shape of the pastry case much better. For the little ones, I baked them with beans/rice for the slightly reduced 8 minutes, then removed them and baked further for another 8 minutes. I also reserved a few slices of limes for decoration, then of course I used my super duper citrus press for juicing my limes. I think this made my mixture slightly runny in comparison to what it should be, but it all turned out just fine. So I filled up my cases, then chilled them (in this case overnight as I was tired at this point and couldn’t be bothered to do the rest!). Then a bit of decoration…..
For the verdict… I shall ask Mr M as I burnt the top of my mouth yesterday. It hurts. I can’t eat properly. He said, and I quote “Nicest pie ever”. 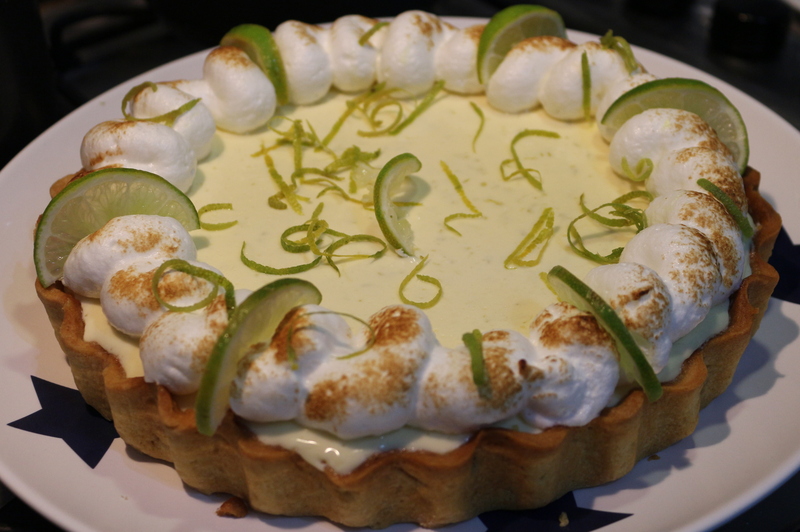 Wow you managed to recreate that amazing lime pie – it looks gorgeous! It looks fantastic! I couldn’t believe how much praise this pie got on the show! I know! That’s part of the reason I was so intrigued to make it! That, and that I love Lime and Ginger. I think if I made it again I would put even more ginger in it. Hi Lindsay, what recipe did you use for the meringue? I can’t seem to see it on the BBC website. 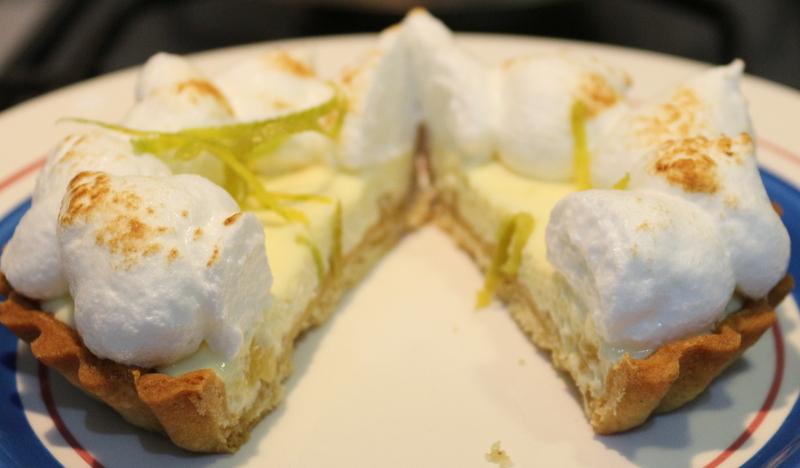 It is hidden in the list and instructions for the lime filling, which makes it slightly confusing, but the whites of the eggs, and the sugar, which are listed in the ingredients are for the meringue. Did you bake your filling as the recipe suggests or just leave it to chill? I think I just chilled it. I’m really confused whether to bake the filling or not, the recipe says bake and I rewatched the episode of great british bake off and he mentions baking it on there. 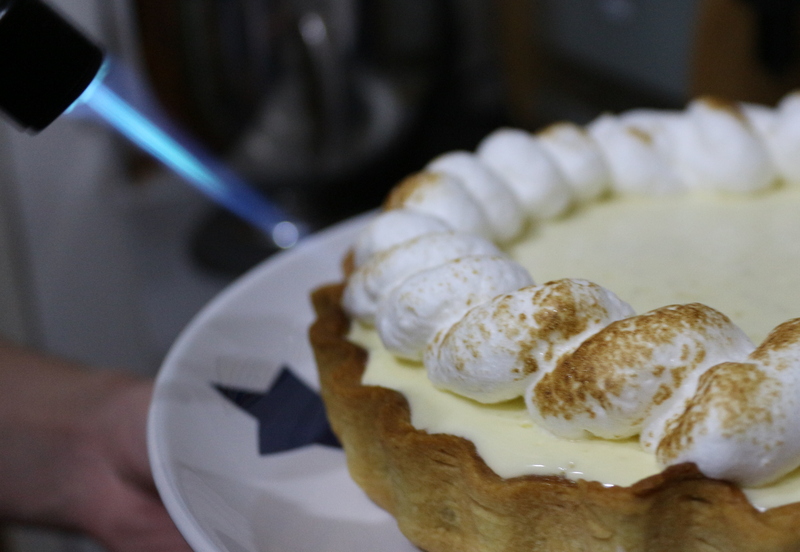 However I obviously read your comments and you said not to bake it and I read this http://www.telegraph.co.uk/foodanddrink/9552928/My-Great-British-Bake-Off-Key-Lime-Pie.html which also said they shouldn’t have baked it. I don’t suppose anyone could help please? I didn’t bake it, but this was more from me not following the instructions properly, than some sort of clever comparison of bake vs no bake. It was just fine, it set, and it was tasty. I have actually made it twice now, and completely missed the whole baking thing both times! The recipe does say bake though, so I leave the choice up to you. Hello, sorry for the delay, I was busy, then I had to find the right book for this series and type it up. I have now updated the post to include the recipe. Have fun! Ok, having re-read the recipe as printed in the book – the filling is not baked. I think the recipe published on the BBC website was incorrect. I also thought it was a bit too tangy for my tastes and I wasn’t a fan of the stem ginger. I was surprised as I was expecting to love this due to reaction from Mary & Paul on the show. Thank you for uploading the recipe though, it was hard to find and I have been wanting to try it for years! Perhaps you ended up with a bit more juice than originally in the recipe, extra large limes? Yes, I think all the old GBBO recipes that used to be on the BBC website are going to end up unavailable now, which is a shame. How long do you bake it for with the filling? I was reviewing other key lime recipes and thy all bake at 350F for around 15 minutes. I don’t trust raw egg yolks. The filling is not baked in this recipe, it sets without. As for raw egg yolks, make sure your eggs are from a trustworthy source with good hygiene standards and this will reduce the risk of food borne illness. so glad you shared..i am anxious to make your version of this lime pie..i am 80 and have had several recipes through my years, but still love a new idea!..the temperatures here in bakersfield, ca for the last weeks and will continue through the next few weeks..this pie in my refrigerator will be a welcome treat!..thank you again!! Thanks for posting this yummy recipe! We make this recipe in America all the time. It has been in my husband’s family since before I married. Seems Paul does like American pies. Yes, you need to cook to set the yolks. Our recipe call for lemons instead of limes. Great Show !! Bring back this show with all the Original Cast !! This recipe does not require you to cook the filling in order to set it, I have made it a couple of times as written and it has worked perfectly. Forgot to add that we (in America) make this pie with graham cracker crust (homemade). Makes this pie even more Yummy ! No where does it say to bake the filling. The crust bakes twice (at differing temps). This is considered a “cold” pie and the recipe that is like this is on the condensed milk can. Condensed milk or sweetened condensed milk? If it is a no-bake it would have to be the latter. I have to say I have never come across unsweetened condensed milk. Perhaps you have? As I don’t think i will be able to find stem ginger in Canada, I will have to make it myself. Can you give me an idea what “4 pieces of stem ginger” means in some form of measurement/weight? I moved to the US five years ago, and also can no longer find stem ginger, but from what I recall each piece is around an inch maybe in diameter? I wouldn’t worry too much about precision when it comes to the stem ginger though, it will come mainly down to personal preference (or love of ginger) as to how much you want in there. So you don’t cook the mixture, that has eggs in it? Seems odd. Sorry I couldn’t read the comments until I wrote one myself for some reason. This has already been discussed so no need to respond about eggs. I am currently on my first attempt and it is chilling at the moment. My mixture is also very runny I wish that the recipe said “ x mL of lime juice” the ones I found varied in size and weight enough to make a decent difference when you’re using 6. My 6 limes yielded like 1 and 1/2 cups or so if I recall.